President Barack Obama's trip is getting coverage in Cuban state news media that's respectful if muted compared to the global headlines about the visit. Cuba's main paper is the Communist Party organ Granma. 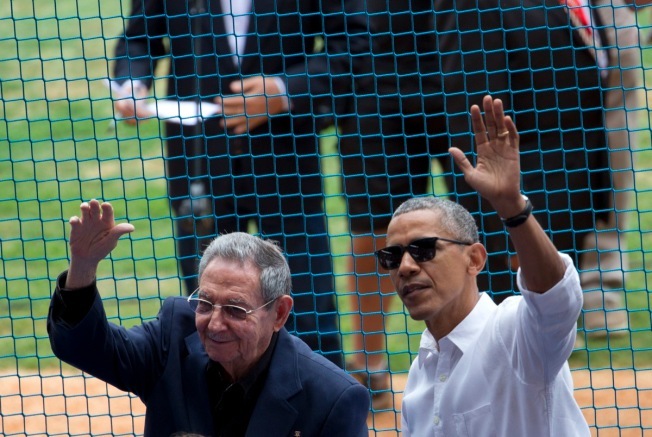 It published a 560-word front-page article titled "Obama in Cuba on official visit" that dryly recounts the president's first half-day in Cuba. Television news led with Obama's trip then moved quickly to press conferences by Cuban officials about the country's achievement in medical research and the difficulties posed by the U.S. trade embargo on the island. The Communist government had dedicated more than a half-century to assertions of independence from the United States and it's balancing its welcome of Obama with reminders that its system isn't changing. Videos circulating on social media showed a more enthusiastic reception. One taken with a cell phone from a building facing the restaurant where Obama dined Sunday night shows Cubans shouting "Obama!" to welcome him as his armored limousine arrives. He turns and waves to the people looking from their windows and rooftops. Rapid global distribution of cellphone video taken in Cuba would have been impossible a year ago, before the country opened dozens of public Wi-Fi access spots around the country.